At the beginning of 2018, nation-wide protests took place in Iran, which, however, were not the uprising against the regime Western media willed them to be. 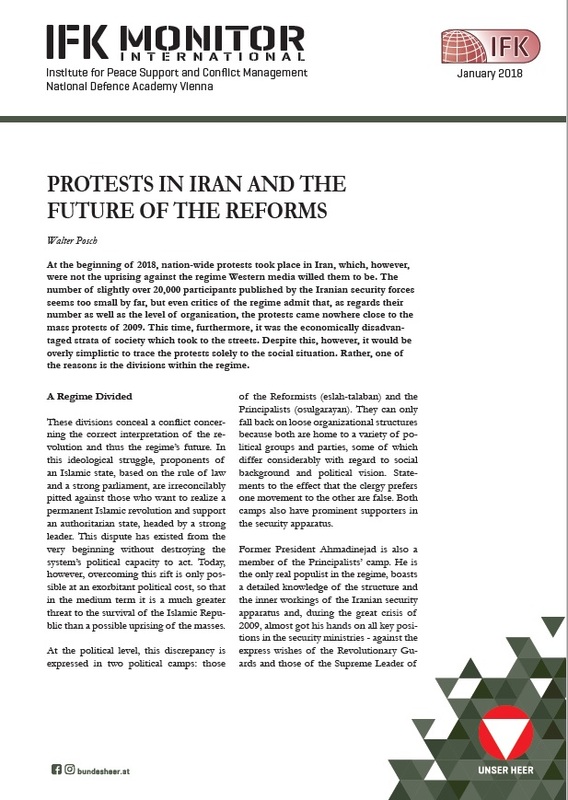 The number of slightly over 20,000 participants published by the Iranian security forces seems too small by far, but even critics of the regime admit that, as regards their number as well as the level of organisation, the protests came nowhere close to the mass protests of 2009. This time, furthermore, it was the economically disadvantaged strata of society which took to the streets. Despite this, however, it would be overly simplistic to trace the protests solely to the social situation. Rather, one of the reasons is the divisions within the regime.